Mat white rendering with a fine grain size for creative wall textures. Open-pored, preservative-free product with a good coverage, easy to use also by non professionals. Apply with a brush (“eight curve figures”) or use a paint roller to obtain a quieter texture. 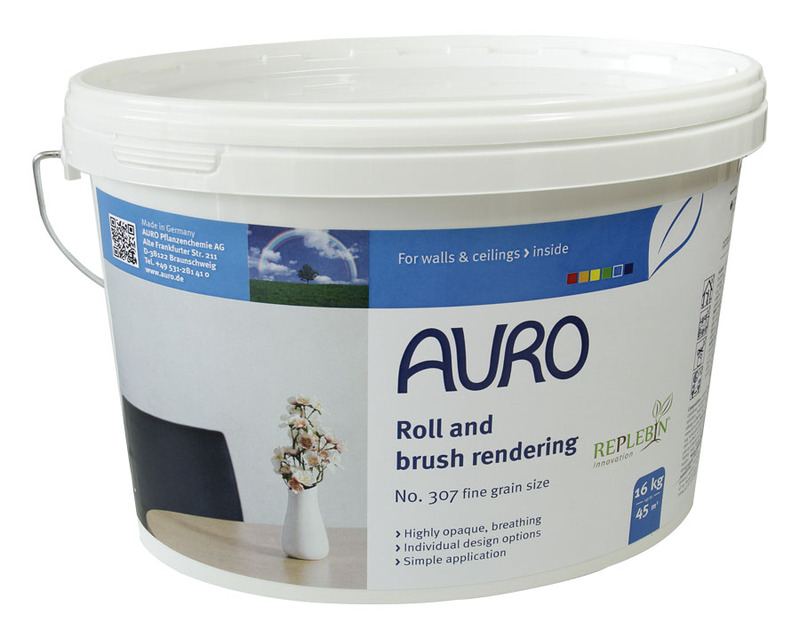 For perfect adhesion on old but still intact coatings, prime with AURO Grip coat, granulated no. 506. If you want to add some colour, tint with 5% max. of AURO Full-shade tinting colour No. 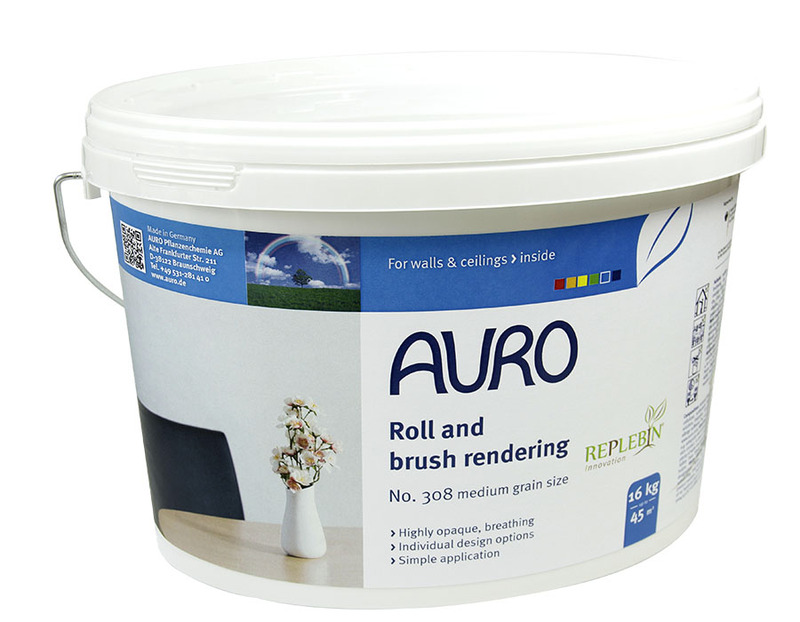 330 (provides pastel colours), or rework with AURO Colour wash plant glazes No. 360 to obtain a slightly coloured effect on the white rendering. The biogenic binding agent REPLEBIN®* guarantees freedom from emissions and professional product features, e.g. 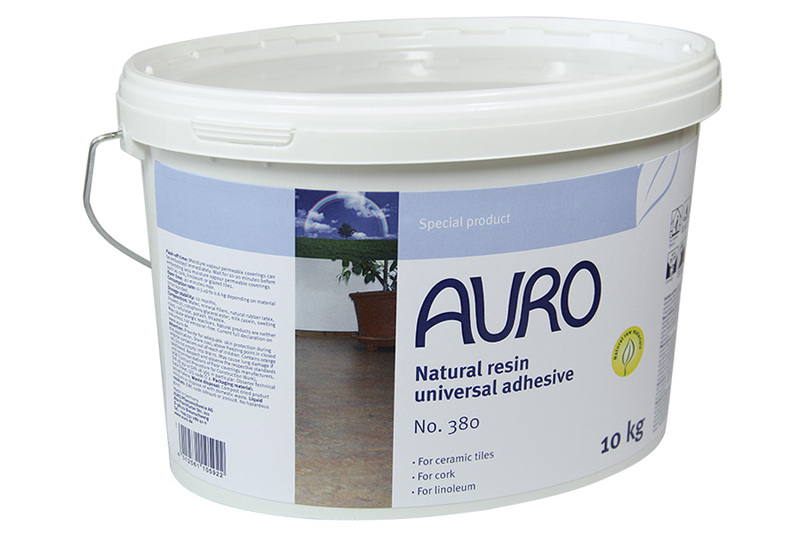 better substrate compatibility and adhesion. The product has a better ability to bind pigments , it contains no oil and stays durably white.